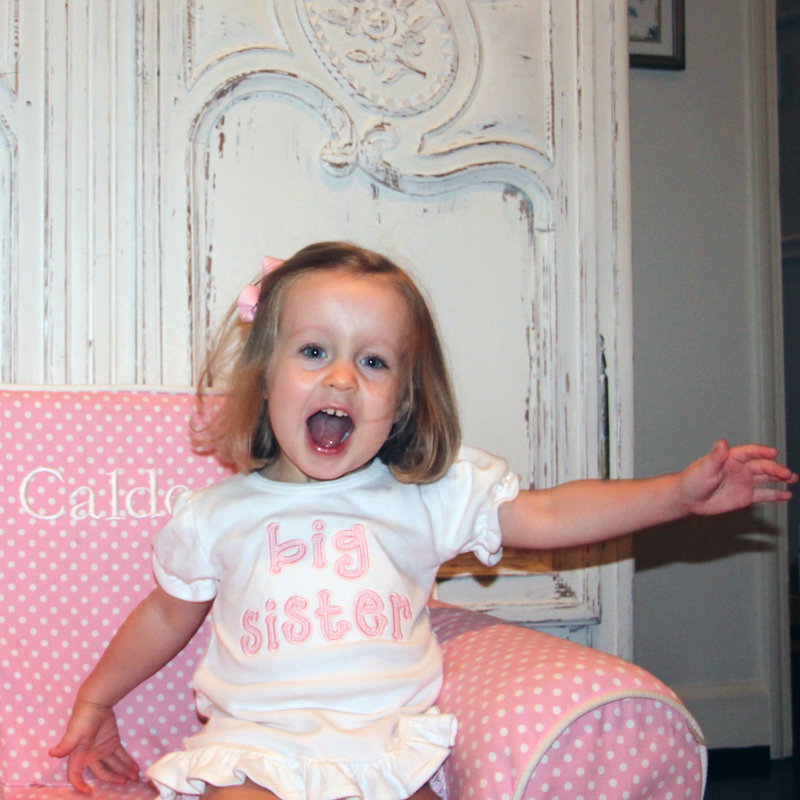 Calder has some exciting news to share! 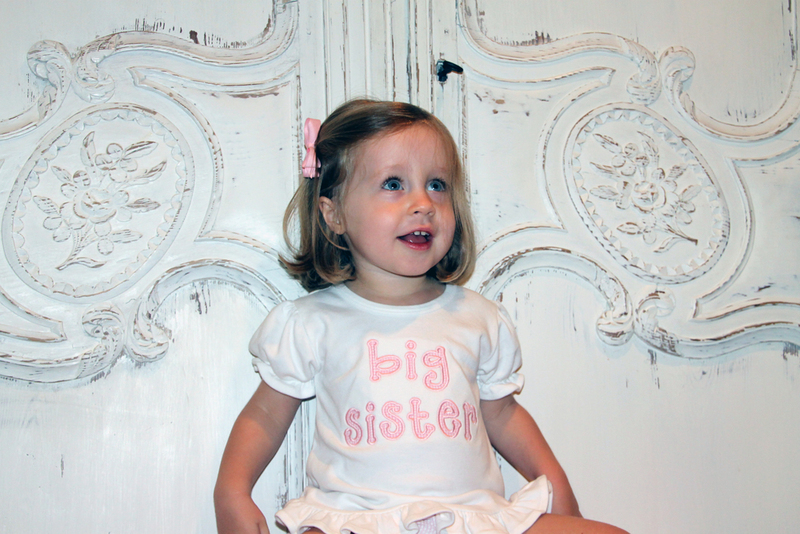 We're so thankful and beyond thrilled for baby B #2 to arrive in early spring! Still in shock and not sure what to think about it... And Calder's getting plenty of practice in the meantime with baby Sally, Lucy and Kate. She's obsessed with her babies and I know she'll make one amazing big sis!!! These are the moments that matter. The child LOVES to swim. She asked me if we could swim this morning before I dropped her off at school and of course I couldn't say no...so we're making this a short day in the office! Entertaining you on the boat was sometimes a challenge...And we ended this summer with a bang. Calder got her second set of tubes put in and her adenoids removed. She bounced back like a champ and Dr. Elliot was amazing too. We're ready for school start very soon and I can already tell she feels so much better! So long sweet summer. It's been a GREAT one! Calder and I were saying our prayers the other night and while we were praying for our family members, I started thinking about how special it would be if she could see and point to each person as we prayed. It was one of those sweet nights...and believe me not all are! She spends a lot of time staring at these walls, so why not fill them with happy memories and people she loves. That's far more meaningful than a print or painting could be. Yeah I know, I'm a huge dork, but I'm pretty proud of this last minute creation. I duck taped 2 foam poster boards together, wrapped the fabric around it (note: this was a curtain from Walmart that I had in college), added the nail heads and drilled a little hole in the back for hanging...and wholla! Here you have...Calder's bulletin board! Yes, it's rigged and took less than 30 minutes, but Calder LOVES it and it makes our prayer time that much more special. Plus it makes my heart happy to know our fam is close by all the time. It's hard believe she was ever this small. I filled another wall with her artwork. She makes something new at school every day, and as soon as she gets home we run into her room, grab some tape, and she proudly hangs it herself. I love that these are such great ways to teach her too. I absolutely LOVE this age. I think it's my favorite age so far (I've said that about each age). The terrible twos are not terrible...yeah we've had more tantrums and potty training has been challenging, but she's SO FUN and my best liI girlfriend. I may have blogged about many artists over the years, but never have I seen THIS kind of talent. Calder Binion is my favorite artist of all time! 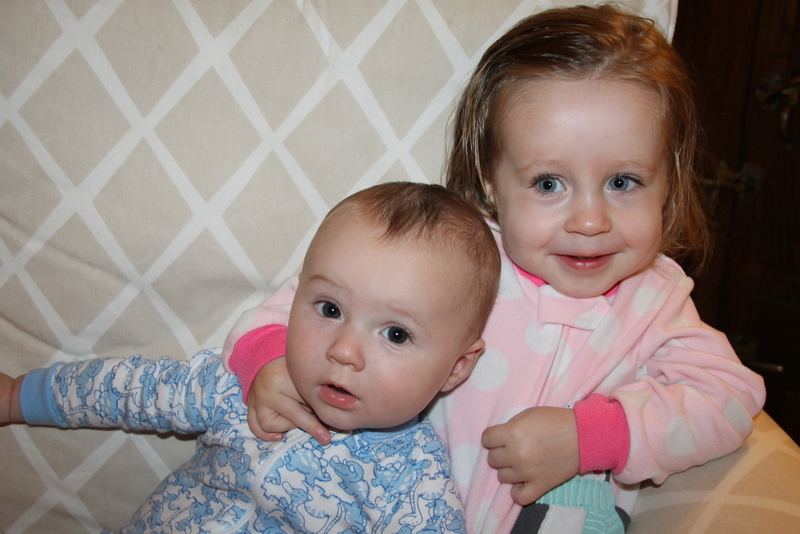 And I'll end with these PRECIOUS pics of Calder and her sweet friend William. These two had a blast playing the other night and are too cute for words. I haven't done a "Normal Days" post since January, so I figured it was time to dig through the photo albums. I. Could. Do. This. For. Hours. Here's an excerpt from my previous Normal Days posts. The same is true today and always. It’s so nice to sit back and reflect on “our normal days” and look through some recent moments captured on camera. Time flies—that’s for sure—but this is what matters. I read this quote on one of my favorite blogs, A Cup of Jo: 5 beautiful motherhood tips, and got teary and thankful and sad—all at the same time. Of course, I had to quickly design a print of it. The words were just TOO good to read and quickly forget. Bottom line is: It’s the normalcy of life that we take for granted. We need to try and soak in every minute of it, because before we know it, it will be gone. What a fun Saturday hunt we had. There's something about being away in the woods—away from it all— that truly soothes your soul. We need more peaceful days like this in our lives. We need more time to sit back and enjoy the little things, because of course we learn that they are the big things. Pretty sure my black jeans scared all the deer away—or maybe it was a screaming two year old in a nearby tree stand—but regardless of the intensity of the hunt, we did see a bunch of deer. Most of them weren't phased a bit by Calder's loud "outdoor voice" and insistent clapping. Man I tell you what, those deer are dumber than you think. Should've worn my "real" hunting boots that Mack gave me at our rehearsal dinner (true story)...but I couldn't find them as we were running out the door. Turns out they were in the attic. Go figure! Needless to say, Bruner was back in crocs during our lunch break. The man and his crocs don't part for long. No words can explain how much I love these two shots Mack-daddy surprised Calder her own camo chair for her first hunt. We are so thankful for these two, and Calder is one loved and lucky grandchild that's for sure. Calder was fascinated with everything about it...the dirt, the sticks, the muuuud! 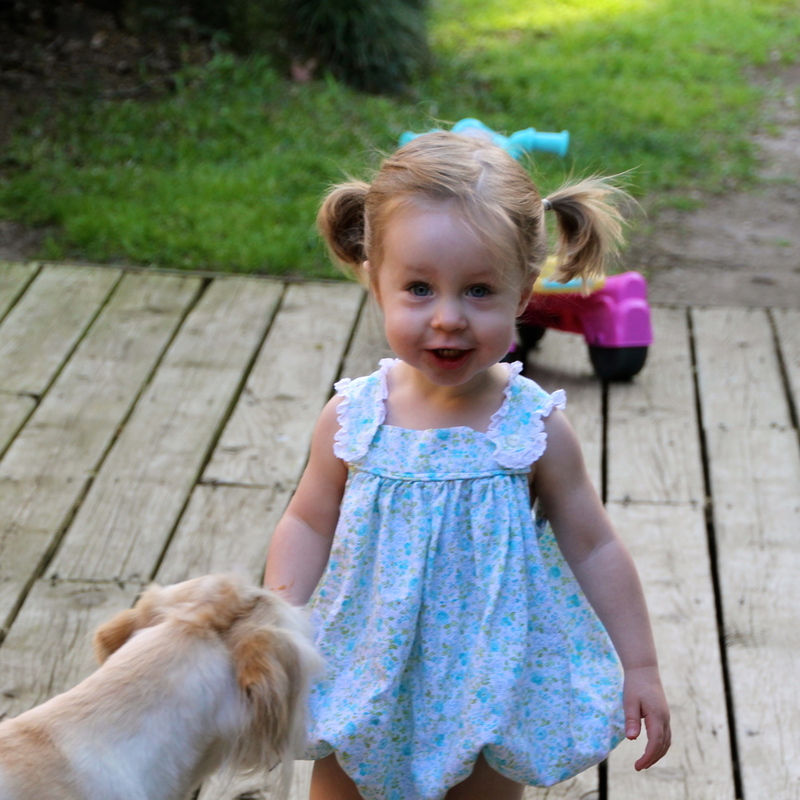 Although she likes her baby dolls (we had to bring their bottles with us), she'd prefer mud puddles to jump in or a football to throw, over those dolls ANY day. 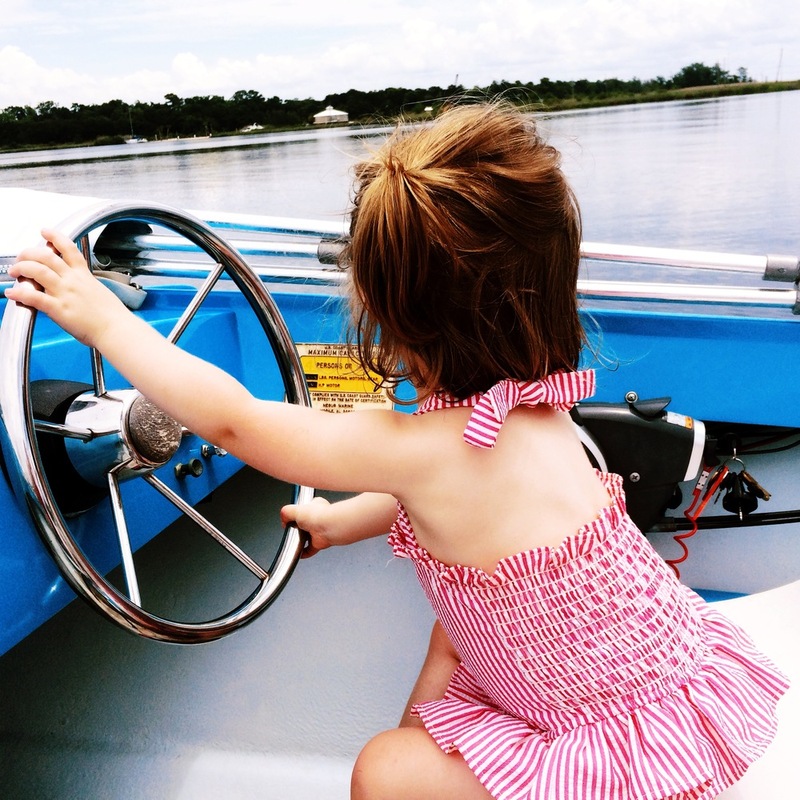 We have a little tomboy on our hands...which is exactly how I was at her age. Real men carry this and wear that people. This is safe, right? And this is where the loud screams were coming from...but the deer just sat there and did their thing. 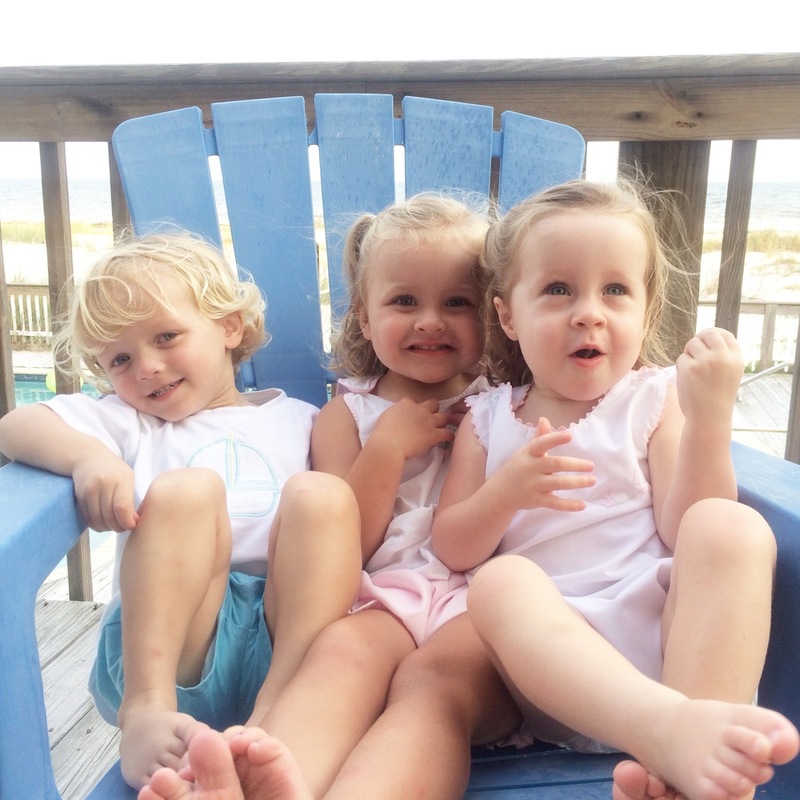 I've been MIA on the blog lately, which typically means life has been crazy-busy around here. When my to-do list is overflowing, the blog is always the first thing to go. But, it's so nice to sit back and reflect on "our normal days" and look through some recent moments captured on camera. Time flies—that's for sure—but this is what matters. I read this quote on one of my favorite blogs, A Cup of Jo: 5 beautiful motherhood tips, and got teary and thankful and sad—all at the same time. Of course, I had to quickly design a print of it. The words were just too good to read and forget. Bottom line is: It's the normalcy of life that we take for granted. We need to try and soak in every minute of it, because before we know it, it will be gone. Here are a few snapshots of our life lately. I keep reminding myself to soak these moments in because they will gone before we know it... Calder's one fun, busy-bee this time of year! Here are some recent shots from my desktop and camera. I tried to mix up work and life—just like my real life balance I guess. I had a hard time narrowing it down from the gazillion options....sure wish I had time to do this post every day. And I really wish I had time to post more of Calder lately. I have thousands of pictures I've never done anything with. I try to place a big print order every 4 months or so and store them all in albums (we help keep shutterfly in business). It's so easy to forget to PRINT in this digital world—but I do hope that print will always win. Calder is 22 months and growing like a weed. Gosh, she's fun. I rocked her to bed tonight and got so sentimental (and saaaad) about how fast time is going by. I'm trying to soak in every minute with her while maintaining a busy work schedule, which can be challenging to say the least. BUT, we're making it work and I love our schedule right now. She goes to MDO 4 days a week from 9-1. I cherish our mornings together and that's "our time" until she runs to the door with her backpack saying "schoooo, schoooo!!" She loves it which makes it a lot easier! From 9-1, I either have work appointments or work from home. It's amazing what you can get done in such a short time, when every minute is intentional and time can't be wasted. I pick her up a little before 1, and we come home and have lunch. She rarely eats her lunch at school, so we make grilled cheeses and eat together everyday. From 1-2, we play together, usually outside, especially on these beautiful fall days! I love that time with her so much. She usually naps from 2-4ish (thankfully the girl loves her sleep), so that's my crunch time in the office working on deadlines and projects. When she wakes up, my work is over until she goes to sleep. Oh yes, sometimes I do have to work after 8 in order to make deadlines, BUT I wouldn't give up my day and mommy time for anything. It's a crazy schedule I know, but it works for us. Bruner goes to bed early and wakes up at the crack of dawn, so usually when he goes to sleep (8:30-9) I put in a few more hours if I have to. Not always, but I won't lie, I work a lot...but I get my time with my c-bear too, which is the most important thing to me. Whew, sorry about that schedule info overload! I will say that one of the MANY things I've learned since becoming a mother, is that there are MANY different ways to do everything and none of them are better than the other. Every situation is unique, and you just do what you have to do to make it work for your family. I've learned so much from other moms about scheduling and prioritizing. Believe me, our journey has been a trial and error process—and we don't have all the answers, that's for sure. But, I wanted to share this in case it helps any working moms out there. It's not easy finding a balance, but I do think you can make it work. I'm very thankful I'm passionate about what I do and love graphic design and everything that comes with it. Of course, a few years down the road, things could be different and what works now won't work then. Schedules will change and life changes...so you have to change with it. But, I'm constantly reminding myself to soak these moments in. 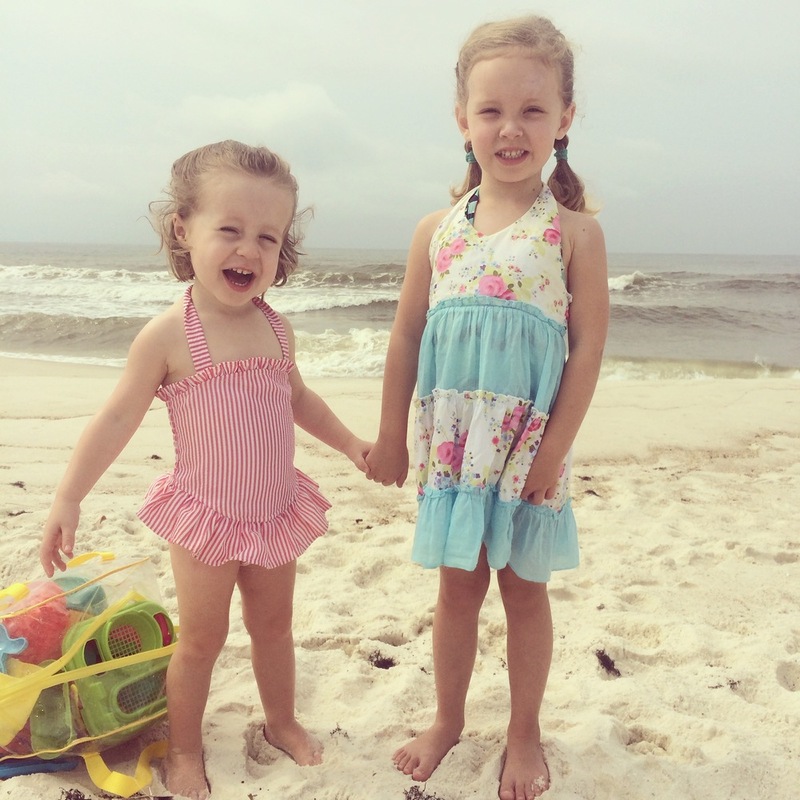 They are precious and time is flying by—so the focus has to be on what matters.